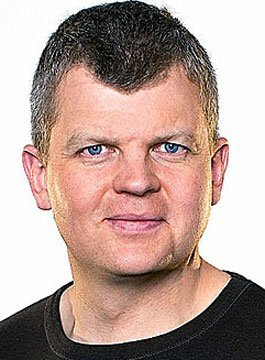 Adrian Chiles is one of television’s most versatile and sought after presenters. He has presented a range of high profile programming, including Daybreak and ITV’s football coverage. Adrian was the originating host of The One Show, MOTD2 and The Apprentice: You’re Fired. 6-0-6 (BBC Radio 5 Live). Adrian’s own radio show Chiles on Saturday (BBC Radio 5 Live) won a Sony Radio Academy Gold Award in 2002. In 2016, Adrian hosted a two-part documentary series for BBC Two entitled My Mediterranean with Adrian Chiles, exploring the various religious festivals and customs in the region. Adrian Chiles is available for awards hosting, conference facilitating and after-dinner speaking.